We have come a long way since Darwin and the Theory of Evolution. New inventions that are created by humans ‘turn up’ nearly every day. Our society is improving at such a rate nobody could have predicted a few hundred years back. However, some might argue that we are actually going backwards. Especially since Steve Wise started to claim that apes deserve personhood. According to him, because these animals resemble humans in many ways, they should have rights. Maybe not the same way as we do, but rights, nonetheless. They shouldn’t be kept in cages, imprisoned, or at zoos for our entertainment. They should be treated as ‘persons’ and not as ‘things’ or ‘property’. Similarly to our elders, chimpanzees should live out the rest of their days freely, without restrictions. True, they are clever and can learn many things, even follow regular patterns and activities. But are they really that close to us? Unfortunately, even some humans don’t have all the rights they should have. Is there a chance for these chimpanzees to gain priority (and a person’s rights)? According to Wise, “‘Personhood’ is not synonymous with ‘humans. A ‘person’ is the law’s way of saying that entity has the capacity for rights. A ‘thing,’ which chimpanzees are now, don’t have capacity for any kind of rights.” His initiative goes back for more than 25 years, and has been rejected many times by judges. Some mock his efforts, while others are simply amused. There are also people who suggest Wise would make a ‘wiser’ decision by helping chimpanzees in the wild or in captivity. But asking humans to personify a different species? Many think it’s a bizarre idea, even if being a ‘person’ doesn’t have to mean being ‘human’. For most, it does, and people intend to keep it that way. But Wise is adamant at granting two of his defendants ‘personhood’ and adjacent rights. He is going to court once again on Thursday. Well, good luck for him (I guess). In the meantime, let’s consult the cards. Page of Cups: This card represents Wise and his attitude towards the chimpanzee. He isn’t afraid to express his feelings, nor is he afraid to showcase them. He keeps going, taking on a new perspective all the time. Four of Wands: This card represents an important milestone in the project (one way or another). 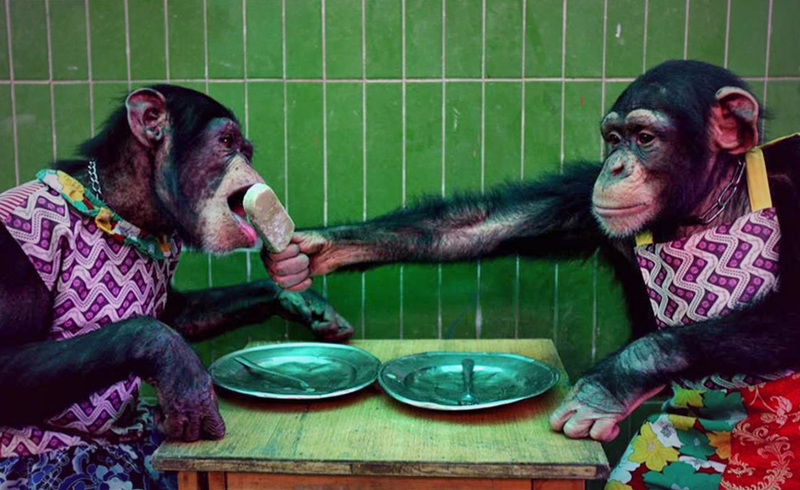 A compromise might be reached, one that will benefit both parties (and the chimpanzees, of course). Six of Swords: Solving a problem doesn’t necessarily mean it will have a positive outcome. In some cases, simply leaving behind what we want and being ready for an alternative option is needed. This debate is definitely the mark of the start of a new era. Of which kind, well, only time will tell.